Download a design template to get started. Custom, vibrant promotional posters in many sizes. 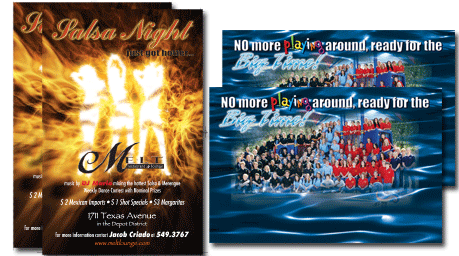 Action Printing offers posters up 20 x 26 inches in vibrant full color and banners as large as 18 x 24 inches. Promote a sale or a special event with a high impact poster. Our Professional Designers can create a stunning design just for you. Add UV Coating to ensure your poster is durable. Our UV coating will also help repel some moisture.